Space Architects have appointed five university graduates in a variety of different roles across the organisation. Will Dingwall and Lorena Booth, 21, joined as Part 1 Architectural Assistants having studied BA Architecture at Northumbria University. Initially Will will be working on retail projects whilst Lorena is working on a number of mixed use developments. James Gillis, 21, also joined as a Part 1 Architectural Assistant after studying BA Architecture at Newcastle University. On joining the Space Architects team, James said, “What interested me about working with Space Architects was the extensive use and integration of Revit within design processes”. 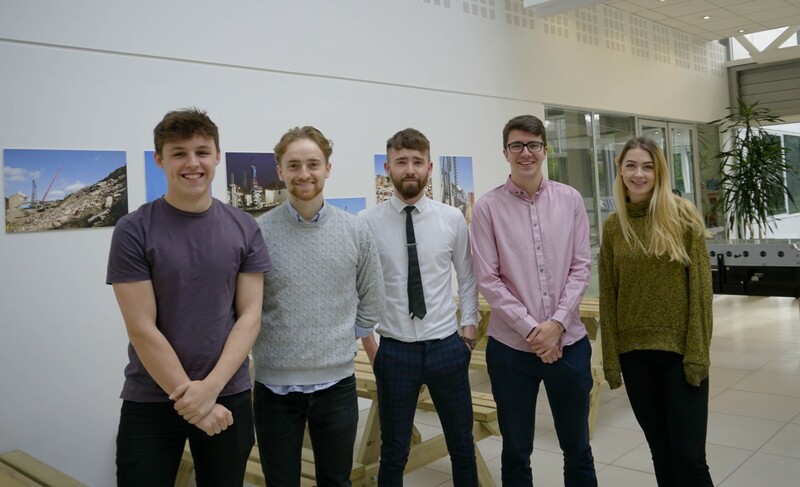 As well as Architectural graduates Bailey Spray and Ryan Young, 22, have started working within the company’s Marketing Department as Marketing Assistants. Bailey completed his undergraduate studies at Northumbria University whilst Ryan concluded his degree at the University of Sunderland. Both Marketing Assistants arrived from the University of Sunderland’s employment branch, Uni4Talent. Rob Charlton, CEO of Space Architects commented, “It’s always great to see new talent joining the business. Our graduates are just beginning their careers and it's great to see their enthusiasm, energy and willingness to learn.